This is the new me.. This has taken a lot of courage to write this, but I’ve decided the journey that I have been through this year and the road that I have been forced to follow has taught my family and I some lessons along the way that I need to share. There is not a lot of knowledge out there surrounding brain injuries, and the effect on your day to day life, nor is there the right support unless you go looking for it, as I had to do. If I can spread more awareness of brain injuries and use the experiences that I’ve been faced with to try and help others, especially people going through the same challenges as myself then it will help to make this a worthwhile journey. I count myself lucky that I’ve been given this second chance in life. It’s a miracle with the injury I faced that I’m sat here writing this to you, but I have to say just because I look exactly the same as I did pre fall doesn’t mean I am the same person. My body doesn’t match my head. I stare in the mirror and the same person staring back isn’t the girl I used to know. A year ago today, September 19th, my life as I knew it changed forever. 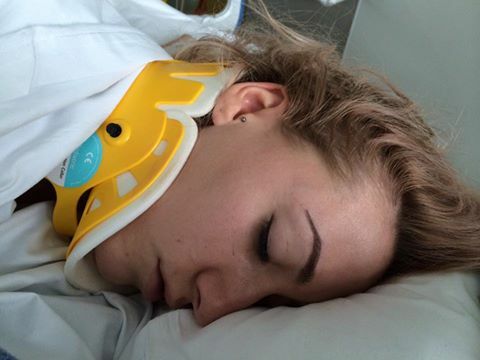 I was in Dublin, Ireland on what was meant to be a romantic weekend away; instead, I was in ICU fighting for my life, unaware of my accident and the trauma that had occurred I had sustained a fractured skull and a bleed on the brain. I have no memory of the accident; I feel I’ve made a picture story in my head from what others have told me. What I do remember, is having breakfast with my husband and not feeling 100% so made my way to the toilet and towards some stairs that couldn’t have been more than 100yards, if that, from our table. Imagine being 27/28 years old and trying to relearn everything you would have as 1+ year old. I couldn’t even remember how to spell my name or what street I lived in. I had to learn to talk, walk, read, write, you name it I had to re learn it. I can honestly say looking back to where I was a year ago, to where I am today WOW and I mean wow it’s an amazing achievement and every day is a massive milestone for me. However, just because those massive steps have been taken and I’m no longer an inpatient, I am still an outpatient who still has several hours a week of intense rehab to get me to where I was before pre fall. I get judged every day for how I look, you can see from the before and after photos I look no different. I didn’t fall and break my nose, my leg or have scars you can physically see, I’ve caused damage to my frontal lobe and temporal lobe, a part of me that you will never see. I’m not saying that’s a bad thing that you can’t see my injury, all I am saying it’s difficult for people to comprehend just how debilitating a brain injury can be. I’ve been told i’ll never come off medication. It takes two years for your brain to recover from the brain damage that was caused by the accident. Basically my brain no longer uses the m4, I now use every A road to get me to my main goal and that causes huge physical fatigue it’s exhausting. Every day I have to get up and I tackle the day because it’s only myself fighting this fight and I will get there, it just takes time, they say time is the healer in all aspects. I’m still grieving the girl who I was for the last 27 years and trying my hardest to accept the new girl who is one year old today. Only those close to me will see my daily struggles and I’m so thankful for those who stand by me and help me through the bad times, they also give me the best encouragement to keep striving towards my goals. I honestly believe everyone has a different outlook on life, and if you know me you know I will do anything I can to achieve or get to where I want to be. There is a difference when you’re telling someone who is fighting daily with coming to terms with an injury that has taken over his or her life to be positive. I have lost my confidence and parts of my personality have completely changed, but it’s all about learning how to adapt. People’s judgements have been the worst; I’ve been in countless number of coffee shops, restaurants’ or even cinemas where I’ve been mimicked by how I now talk (I have a stammer). Judged because I use a walking stick (and I have to say I have the best pimped out walking stick going.) Or even parking in a disabled spot and having people hurl abuse through the window at me ‘She shouldn’t be here – she doesn’t look disabled.’ Having a hidden disability can be very frustrating. Why? I ask myself this every day, because on the outside I paint this picture of a girl who used to be here, I dress well and make an effort with makeup so to everyone else “I look amazing.” The words I dread to hear, purely because the outside doesn’t match this inside, if I could walk around with a plaster cast on my head do you think you would judge me differently? This is soul destroying. We are now living in a society where it seems acceptable for people to make remarks and judge others before understanding the complete story. Granted we’ve all laughed at someone walking out of a toilet with tissue paper stuck to the bottom of their shoes, but when this comes to people’s health and wellbeing – this isn’t acceptable. When I was discharged from hospital in the space of three months, I was mourning someone I once was, the life I lived, my marriage breaking down and the loss of my Bampy. My Bampy- anyone who does know me, knows that he was the main man in my life. Two weeks after I was discharged from hospital, he had a stroke affecting the same side of his brain as my injury. In my own little world, I thought me and him would battle through this together. I joked with him at having speech therapy together and even brought us a puppy. I blamed myself massively for his stroke. Law of attraction – you put it out there, it will come back to you, when I had my injury he said “it should have been him.” I haven’t come to terms with him not being here, I’m still waiting for him to come home. In my own way everything had a box. My injury, my Bampy and my marriage. I think it’s fair to say that coping with one of those life altering events would be difficult for anyone, I had to deal with all of it, all at once. It’s been the toughest battle I will ever face. Acceptance is one of the hardest parts of my recovery. If someone could have told me leaving hospital and the transition into what would be my ‘new normal’ would be harder than the actual hospitalization and the rehab I had in those months I am not sure I would have believed them. I’d like to think I could have coped better over the year; I was so desperate to try to be who I once was, having my hair done, and buying endless amounts of mac lipsticks. Trying to keep up with my social groups I was ignoring the big elephant in the room, the one trying to tell me you’re not you, you need to address this and understand what the changes have been. I’ve lost my taste buds, my sense of smell, my emotions, my lack of understanding, the ability to process a daily task, i struggle with attention, my memory, my fatigue and one big part of my speech and language control. I have zero filter, I swear more now than I ever did, my mood swings are horrific, I hate noise, I’m so sensitive I can’t block out other people’s conversations or listening to high pitch sound (like babies crying). The worst part is I don’t even know I’m doing any of these things; I’m only faced with reality when it’s pointed out to me. I understand that I can’t taste food; I eat purely because I have too, I’ve been days without food because I’ve forgotten about it I have zero interest in it. My main hobby pre fall was baking I loved it! I had a garage full of cake bits, I used to prefer shopping for cake bits rather than clothes. Now I couldn’t think of anything worse I have zero interest in it. Why? Is it because it’s part of my interest in food who knows I just know that it’s a different me. I worry that I will never feel that “love” feeling again I know that I loved my family members’ and that I was in love with my husband but how can I feel love again, will I ever understand what feelings are what? I don’t have that excitement ‘feeling’, if someone told me they were flying me to New York tomorrow I wouldn’t be phased by it, it makes me sound ungrateful but I just don’t have the ability to ‘feel’ that happy feeling I once did. I would worry more about my lack of sleep. I don’t cope well with pressure; I can’t take too much information in and process it. I know my rehab now is helping me come to terms with everything that has happened. I am scared that I will look back in a year’s time and feel that my brain injury was my soul focus, and my soul focus was to try to get better. I couldn’t give anything else a chance when I was fighting for me, and now I’ve lost a lot from my life in the process. It gave me a new lease of life, when I rang them in March crying because I didn’t know what was happening to me they introduced me to two social groups. The first on a Tuesday morning called pedal power, adapted bikes for all disabilities to help with your physical rehab and also a good laugh with friends’, the second, Thursday afternoons in Chapter for a social coffee group. The first time I went was a Thursday (and this happens every time either in hospital, doctors meetings or even while at this group I cry) I feel I’m accepted, they understand how I feel. I don’t have to explain myself, why it’s so hard to walk one day or how one day my speech is better than the other, or the simple fact I’m so scared of stairs can you blame me? They completely get it because they are going through the exact same as I am. I’ve made some real life time friends at headway and it’s all thanks to them and my “brainy friends” that I’m here and it has helped me as a person. My TBI rehab only started properly in May where I’m at hospital for 3 days a week working on my physio, speech, occupational therapy and neuropsychiatry. Other than meeting people in headway I went for 6 months without any help trying to figure out “the new me” that’s a long time transitioning into normality. This explains a lot why I couldn’t communicate or express how I was feeling. Normally when you leave hospital you are under “the brain injury community team” which help you at home but due to moving hospital and different referrals I wasn’t on this list, but now I am in the best place possible for me now. Even though it has taken a long time, the only way I will get better is by continuing with the help I’m getting now. Even if there are times when my mum is dragging me there. I’m so lucky I get a lot of help from Benny Matthew at “Cardiff Bay Chiropractics”. Compared to who I was when I was discharged to now, I know there’s a massive difference. They manage to make me stand without falling over, I couldn’t even turn over in bed without feeling dizzy. They help me reduce my daily headaches and relieve a lot of pain I suffer with due to the accident, honestly their support is unbelievable. I’m forever grateful to them!! There have been times where I wanted to give it all up. Where I just couldn’t understand when I felt I couldn’t get any lower and all of a sudden I hit rock bottom again. I was out of control, in a spiral and I am the worst for self-destruct. I just didn’t think I could be strong anymore; the only way I saw out was to no longer feel any more pain. I had to realise that I wasn’t on my own, yes I find rehab at hospital hard work and draining but it’s because of that help Im able to now understand what is happening to my brain. I have the best family around me, I have the best friends supporting me and just because my life is now built around medication, hospital and rehab it doesn’t mean that my life has to stop. I will one day be back driving. I will one day be back at work and I will one day manage my fatigue and mood swings. But right now I’ve come so far in the small amount of time just wait until next year I will be a better version of myself and be loved for who I am not what I was. I will do all I can to help others suffering from a severe traumatic brain injury and help them realise that it’s all about time and there’s no magic wand to fix it, it’s about adjusting and accepting. I know I still have a long way until I fully accept what I’ve been through. Along with the other situations I’ve been faced with in my recovery period and hopefully when I reach that point, I will give myself a pat on the back. As for now it’s one step and one day at a time. Time is a gift that we all take for granted. 12 months, 365 days, 8769 hours, 525,600 minutes and 31,536,000 seconds in a year. Do we live them to the full? Can you honestly answer that question? Are you giving the best version of you? Time passes us by so quickly and the past three years I cannot believe where the time has gone?! When you think about 3 years so much can happen, our lives can change dramatically in so many aspects. It’s only now that I’ve really been able to look back over my recovery and it’s made me think about my journey in every way possible. For the first time in three years, I am able to actually solely focus on me and as selfish as that may sound; I want to be able to achieve more. The first milestone was an achievement, the first blog that I posted; I sat in my lounge, on my own in tears over everything that I had been through in that year. The response I had back from that blog was unbelievable. The anniversary of my accident is a day that I dread, a day that I suppose I feel like is a reminder of how I felt robbed. Robbed probably isn’t the right word, more so scared of what had actually happened? Little did I realise it was to be the beginning of an amazing journey. Somehow I managed to supress everything else and I focused on sharing my story. When I hit my rock bottom, the only way I knew how to manage what I was going through was writing; I thought if I spoke about it others wouldn’t have to face the battle or constant judgment that I was affected by on a daily basis. It started to open so many different doors and this made me realise that what I thought were negatives were actually becoming my positives. I became focused on knowing that if I could contribute something positive to others then nothing else mattered. That knowledge and awareness was changing people more than I realised and that became my goal. My main goal. Time to process what I wanted to talk about and what I was relearning. The new information was a way to hold my own and support those that were not able to access the help I had received. It was key information that I knew would be priceless and survival for the new journey of recovery after a brain injury. Hands on my heart; it was the only thing that was keeping me alive. At the beginning of last year, I took a look at what I wanted to achieve. How was this journey going to evolve? How was my story going to become more than just my rehab and my mundane routine that has become my new normal? I decided where my original plan of celebrating that I was alive in year one, in year 2 I was going to give back to help those that desperately needed it like I did. My two-year milestone was created with all my efforts going into raising awareness for brain injuries. I used my journey and organised a charity night “High rolling for Headway” where I had a platform to show people how far I had come and the help and support that was out there if they needed it. As mentioned in last year’s blog it is said that it takes two years or so, for your brain to rewire from the damaged caused. I still felt apprehensive, nervous of what the outcome could have been, but I managed to hide behind what I was doing, all I could for those that didn’t understand the journey ahead of them. It was something that I felt so strongly about and still do. That year of my ‘no expectations’ allowed me to focus on my fundraising. The best part was that it allowed me not to set myself up for a fail. Anything was better than nothing, which in itself gave me something to work towards as it was my own achievement. Headway Cardiff, has been able to use this money to offer a whole year worth of counselling for survivors and their families’. I can’t even explain how much this means to me & fellow survivors, it just shows that the smallest donation and determination can go a long way. I think if you have followed my story, you will know just how overwhelming this was for me and how much this has given me more of a drive to continue with my work. I want to apologise for the lack of writing I did this year. My post from the beginning of this year was about learning to love myself. I realised that I needed to take a good look at myself, could I feel happy? Could I love again? I’ve massively struggled when it comes to my feelings, my emotions and to understand who I am over the last three years. My recovery has/ or shall I say had been tinted; I refer to my world of boxes. I struggle massively still with my understanding process and with too much information my filter funnel gets full. Everything in my life had a box and it was the only way I could manage the new me around focusing on a situation at a time or my mental health. I was so focused on getting better and that I naturally assumed everything else would happen or fall into place. But it wasn’t as easy as that and actually my mental health was something I couldn’t hide from. For the first time in the last 3 years the last couple months I was able to actually focus on my recovery, my health and myself. I thought it was something I was doing from the start but I wasn’t. I was hiding behind a mask the whole time. I had managed to create a shield without dealing with what was or had happened. My divorce took over my life and I didn’t realise how much it was affecting me and my recovery. I came down to whole new level of low, which is what prompted me into writing in the first place. It was the only way I could compartmentalise what was happening to me and my life. So for the first time in three years, the last couple of months I was able to finally start to feel like this is my time. It’s my time to start focusing solely on my rehab, my recovery and who I am beneath all that. My life has become so much more meaningful and my focus has been on giving back to others, it’s something that will always now be a part of me and my life as I continue on this road. I surround myself with people that lift me up, give me the best support and wholeheartedly have the best intentions for me. When I could have isolated myself, become something that wouldn’t have been the best of me. I’ve had moments where I’ve needed to just have my own time to reflect on what emotions were what and fathom how certain situations have left me shell shocked. But I managed to change my mind set and thrown myself into the deep end to help other survivors, purely because I’ve been in a place that I would never wish anyone to be. I still need help massively with my mental health but that’s ok everyone is allowed to have that. By mental health im not just referring to my brain injury; although that alongside learning everything from day one hasn’t been the easiest of rides. It has been the biggest challenge I’ve ever faced and to learn and understand what was happening and how I felt is something I never will be able to explain to anyone. There are only a few that would understand how badly I felt, and I understand that I’ve spoken about how grateful I was to be able to have survived what I went through. However I wish I could explain it’s not as easy as it was for me to go back into a “normal life” when I lost everything I ever loved. I’ve never wanted to talk about that side of my life before because I wasn’t sure I would ever be comfortable in my own self to step away from it but, I’ve never felt the way I have in the last couple of months. I feel like now is a time for me to really grow. Finding me and finding my path has been the biggest challenge ever. I know it’s nowhere near over, this is literally just the start but it’s a direction that im willing to travel in. However anxious it makes me, I have to understand that not everything is controllable. My dreams hopefully will become my reality and my health, rehab, recovery will be my focus and I am on the right path. My love and my heart will always be alive and kicking for those that need it, whether it’s being an ear for someone to talk too or to be able to help them and give them advice through their toughest battles they may face. Whatever it may be, knowing that someone understands your journey is such a huge part in recovery. And if it was to help give those families and survivors the support and the first step they need then so be it. It’s been worth it knowing that a little piece of advice, like I received from other TBI survivors has helped in some way, it’s an incredible achievement that i’m immensely proud of. So year 3; what do I have in store for you? Now that’s a question! The Sliverlining brain injury Charity, is a group of like-minded people who aim to improve the quality of life of all those affected by brain injury. Their mission is to unite, engage and rehabilitate all those affected by brain injury with positivity, purpose and advocacy in their local communities and beyond. I’ve noticed that throughout my recovery, it is so important to have that network of a family base feel around you that gives you the confidence and support you need to grow. Namibia is mission that Sliverlining take on every two years. In all honesty, I had heard about the mission in my first social meeting with Sliverlining but I never thought in a million years that I would have been lucky enough to be asked to take on this challenge. Let alone it being in two weeks’ time!! 6th-21st October I along with 22 others, including 10 brain injury survivor’s’, buddies, medical team and team leaders will be heading to Namibia, South Africa to take part in the good will programme with The Sliverlining Charity. This trips purpose is to engage the ‘Sliverliners’ with goodwill projects to support those less fortune than us and in the process grow and develop as people. We will be based at the village school that has approx 14 children aged 5-12. Which we will be delivering lessons and much needed maintenance projects. Our hope is to help teach the children from a new aspect, fun activities and begin to create running water to the school and hopefully a garden for them. To be able to achieve this challenge is something that I never thought I’d be able to do. To say im nervous is an understatement but since my accident three years ago today, it has been my goal to want to raise awareness for other brain injury survivors and hidden disabilities and show that just because I have a disability doesn’t mean that my life should come to a halt. This challenge is going to completely take me out of my comfort zones and push me to the max which im dreading, battling against my fatigue, dependency on a stick, stammer and other effects I have but I know it’s a once in a life time achievement. I would really appreciate your support through this challenge and hope that you can be as proud as I am about my mission. I’m hoping this project and this year will see me grow and be at peace with finding me and my recovery journey. It’s a journey that has been the biggest fight but one that I can carry my scars around and be proud of what they have taught me. Its takes a lot of courage to get back up but if the last three years has taught me anything, it’s that if you want your life you will go out and fight for it and that’s what I’m prepared to do and help others fight for theirs along the way. I feel that now is the time to be able to take that next step forward and hope for the best with my recovery journey. I’ve smiled through a lot of pain but for once i’m finally smiling for me! Here’s to next 12 months. Remember be strong, be brave and be you. Many of us set New Year’s resolutions heading into 2018, hoping to better ourselves with thoughts of a new year, new me but it doesn’t have to be a new year to become a new you or to set goals. 2017 was the year that I wasn’t giving myself any expectations. I went into 2016 with the intention that everything was going back to normal, by doing this I had already set myself up for a fail. A fail because I lost such a big part of me the day that I had to relearn who I was. It breaks my heart even now to look back to that time, that time that I was lost- I was in such a familiar world but nothing made sense. Where I am now is a place that has its highs and lows. I’ve learnt that there’s this hidden strength that everyone is unaware they have, it’s the kind of strength where you are tested to your absolute limits. You have nothing else but an almost broken kind of strength that keeps you going, until you’ve reached your perceived peak and then you fight some more. I’m not actually a girl that questions why, and trust me there are times where my rock bottom suddenly has another hidden layer that I could never have expected! I’m that girl that will try to keep going and 2017 showed me just how far I can go if I keep working and what I can achieve. 2017 saw the first steps for me in raising awareness for brain injuries, for Headway and for anyone suffering from an invisible disability. Whether that was a brain injury, an illness or any form of mental health. I’m standing here talking for those that can’t and putting a face to something that has changed my whole life in a way that I could never have imagined; in a good way – who knows? This is not a life I have chosen or one that I would want but what I can say, is that I’m so proud of how far I’ve come. Through my pain and adversity, I have been given a life that holds more significance and meaning than I think the life before ever could. My recovery hasn’t been the easiest I can’t deny that; however the journey I have been on has made it my mission to help others. My writing became my escape, my way to understand what I was going through; with brain injuries there becomes a detachment to what is real and what isn’t. The pain became something that I could never have imagined and somehow, me talking through my new normal was someone else’s saviour. It’s hard to believe that what I’ve spoken openly about can touch so many other individuals. Knowing that my hardship has given so many other families and survivors the strength they need moving forward for their own life is a feeling I cannot describe. Looking back over 2017 and what I’ve achieved, is something that makes me so excited about 2018. I knew that writing was going to help not just for those that suffer, but for people that surround me. Even ones that are very close to me somehow finally got an understanding of what I’m going through. I’ve not been able to tell the whole story, as I’m not yet brave enough to face that side of my journey. One day I’ll show you that the positivity I radiate or the “social media false life” we all live, isn’t as rosy as everything seems. However, I give you what I believe is how everyone fights battles behind closed doors, those battles that none of us know anything about. I think when you’ve faced something as scary as my recovery has been; your outlook on life is so different to everyone else’s. “Thankful” isn’t a big enough word I can use. Grateful, being appreciative of the simplest things is something we all take for granted; this has been a major outlook for me. Everyone is so quick to judge and by quick I mean in the respect of normal everyday life. It’s impossible not to pass judgement. Even on the smallest things like, how someone drives or what they wear but have we ever been able to give others that self-love we all wish we had and try to appreciate each other. I know I’ve been one to judge of course I’ll put my hand up but the difference is I don’t think you will truly understand how hurtful it may be, being on the end of that judgement until it’s happened to you. One of the most important lessons I’ve learnt is how beautiful the world we live in is! I don’t think this is something that I believe I probably would have really appreciated before my fall. I don’t believe we, as individuals understand how lucky we are. We are all so wrapped up in the everyday, mundane usual routine that until something really makes you stop in your tracks how will you ever appreciate what you have. Stop worrying, stop getting stressed over the smallest things, stop looking on Facebook every other 5 minutes, stop and really look at what you have, because tomorrow might not be for some and we all forget just how precious our time is. I’ve sat on the bus from my house to the doctors and to the hospital daily and looked out the window and watched the leaves blow in the wind, watch them fall. I’ve never appreciated anything like that view before! The different colours flying through the wind it’s beautiful and it made me think just how lucky I am. Instead of worrying about being late for an appointment or what I was going to cook for tea, I could actually sit and enjoy something life has given us all the opportunity to see. I’m so thankful for this, the fall has given me a different view on life and I’m so grateful! Just take a moment each day and count your blessings because we are so lucky for having that opportunity to be able to do so. I’m still in shock about “High Rolling for Headway” and what a success it turned out to be. It was a very special & important goal for me. I never expected the night or the run up to the event to turn out the way it did. You have this dream and when it turns into reality it’s something else. In recovery we are taught to set self-goals and targets to reach, my first one was to be able not to worry so much about my speech, I might not ever get rid of my stammer but I can talk and that’s huge so it’s something I’m so thankful for! To be able to drive again is huge and one that can become disheartening, as I never thought two years down the line I’d still be waiting to be medically fit. I’ve learnt that instead of setting big goals that are out of reach and that can set you back mentally, if you don’t reach them is more damaging to your wellbeing. It’s much better to set little ones that are achievable, with this it can build morale, confidence and enhanced wellbeing. So in my year of “no expectations” I set up a fundraising page and with the help of others, my mission became raising awareness for brain injuries and for “Headway Cardiff & South East Wales.” Telling my story was never about being vain, or a pity party. It was always to give people the knowledge to try and understand; I would say 85% of people know nothing about brain injuries, stammers or invisible disabilities. I didn’t want anyone to go through what I and others I have met have gone through. If I had been aware of this link from the beginning who knows where I could have been and the understanding I may have had. I just want to be able to make sure others have the ability to gain this knowledge and understanding at the start of their journey. On Saturday September 30Th at 7pm I hosted a charity casino night. Never in a millions years did I think my little celebration of how far I’ve come in my recovery would result in the night that we had. I have to thank everyone that came and supported me. There are no words that can even justify how grateful I am for the people that came, supported and gave to a charity that is my everything. The people that donated to the evening I owe you a massive thanks for making this night such a success. The night ended up raising with gift aid £7,106.72 how can I even thank people enough for getting there. My goal was £2,000, im still in shock £2,000 is a hell of a lot of money so to be able to say I “SMASHED” it is a feeling like no other. With determination and passion anything is possible. If I’ve learnt anything that has been my mantra since my accident- determination and passion. To be in a room full of people that have battled to be where they are, that have survived, and that have fought for their lives is pretty inspiring in itself. They may not show they are broken or they have scars, some scars you cannot even ever see, is amazing. It’s inspiring to see that although they have been through the worst, possible battle you can imagine and yet are still standing, still smiling and still making every day the best day there can be. Is something that I can only wish to become! The friends I have made during my recovery are the most selfless, caring, heart-warming and loving people I can ever come across. The last two years have not been the easiest but to have these incredible friends who I look up too in awe, is something that gives me strength every day. I hope that when I’m at their stage in my recovery – I will be able to look back and be able to smile, because all my strength I’ve battled with has come from them giving me the courage to keep going. Knowing that I am not on my own, I am not losing my mind, it’s not in my head this is real life and it’s ok to be scared but I’m not alone in that. These survivors have been my guides, my rock and my teachers in how to learn to manage my life around a brain injury. I cannot thank them enough for getting me to this stage. What I’m trying to achieve is for every survivor out there and making sure that his or her journey is a better one. If I can smash my target of £2,000. Imagine what else can be achieved with the knowledge knowing that money I’ve raised, is going to help so many other survivors and their families. To be able to give back to “Headway” is a feeling like no other. Headway gave me a life line and I will forever be grateful for them. I have to give a massive “Thank you” to some very close friends of mine. Over 2017 I was lucky enough to have family and friends help donate to “Headway Cardiff and South west Wales.” From running the London marathon, to doing a 100k ultra-marathon. Having family in Australia raising an incredible amount for us in Cardiff, which is something that I will forever be grateful for. To a luxury golf day in London and my friend for selflessly cutting her hair off! They combined a total of £8,080.00. So what am I asking for in 2018? I think this year is about me. I need to learn to love who I am and be happy with that, I’ve fallen in love with helping others and doing all I can for Headway and fellow survivors. That will always continue as it’s become my passion. This past year has actually taught me so many things. There’s a saying that when you wake up from your sleep and you realise that you lost the moon while counting for the stars. I’ve been put on this path and although I’m still very unsure and learning how to adapt, I’m in a far better place that I actually realised I was. Learning to love me and accept the person I’ve become… that’s my aim for 2018. This last two years the ups and the downs, has made me forget about who I am. Instead of searching for who I was or something that I was desperately trying to be. I’ve actually learnt that looking back I’m shutting off how beautiful the present or the future can be, I think it’s actually given me something more than anyone could ask for. When I’m truly in love with myself is when the world can be seen with the happiest thoughts. Never let anyone or anything dull your sparkle because beauty isn’t just skin deep. I’m a fighter I’ve been beaten till I’m black and blue, and nothing will stop me from seeing the world for what it is. Hold those close to you, love them dearly and learn, that you can only be truly happy when you’re happy with yourself. September 19th, today marks my 2-year anniversary. You hear the word anniversary and instantly you automatically assume it’s a good memory, it’s something people normally can’t wait to celebrate. Last year I started this journey, my journey of my recovery, unmasking how life really is with a brain injury. There is not enough knowledge surrounding brain injuries, the more I spoke, the deeper I dug, the more I realised that the statistics surrounding brain injuries are huge. Yet im sat here battling, giving a voice to those that can’t talk or those that are suffering in silence, unware of the effects it has upon them and everyone around them. I’ve been giving my view; a view from my own eyes of the ups and the downs. I promised myself or shall I say I set a goal to raise awareness of TBI, I know im nowhere near to my goal but that’s ok and it’s ok because it’s my personal goal, one that no one can take away from me, I have no expectations, I have no time limits and I most certainly have no one to compare it too. Two years for anyone that has suffered a traumatic brain injury (TBI) or an acquired brain injury (ABI) is a pretty big milestone. Why? Well every day is a pretty big step for me; very rarely will I make it through the day without having to have a sleep and writing those words plays heavy on my heart. Early stages of a recovery with a trauma to the brain is sleep, it’s the best form of recovery, and it’s your body telling you it needs to rest/recover/heal. I didn’t think two years down the line would my fatigue still be such a huge side effect, its one that impacts my whole body, it controls how my speech is, how my legs are and a massive part of what kind of Zal I am. The words two years, has been playing on my mind the last couple of months. Each day I’m closer to that day, closer to that two-year mark. You’re probably asking why it is such a big deal? Everyone’s journey is different, I can still see my consultant at the end of my bed telling me in six months’ time I will be back doing this, back doing that and I learnt very quickly in the first year I was chasing for someone or something that was no longer there. My words from my first blog “this is the new me” were that this time next year I will back doing this, back doing that, well I’ve had a massive reality check as even my smallest expectations haven’t come true, unfortunately there are NO time limits when recovering from a brain injury. The research says it takes your brain two years to rewire from the damage caused after an injury, so does that mean this is now me? Am I meant to accept this is who I am now as it’s been two years, is this the finished product? I feel like I have so much further to travel in my recovery journey and that this is not the end but the more like a new beginning. I am not accepting my speech will be like this forever and I will taste again, even after completing the chilly test last week eating a spoonful of chillies and not tasting a thing. I still can’t give up, even if the chances of these senses returning are incredibly slim. Im far away from who I once was, I’ve learnt that if im forever trying to be who I once was, how am I meant to move forward and accept the changes in the “new me.” I have days where I would do anything to be able to do the things that I use to do or feel how I once did, but im in the process of relearning and trying my hardest to learn to love who I am becoming. It’s the hardest battle for sure but it’s not one that I cannot easily give up on. I want to be better, I want to get better, and I want more for me. Looking back over my recovery period, there have been improvements, I can’t down play that down and I am so proud of how far I’ve come. Rehab is still a battle for me. I undergo physiotherapy, occupational health, speech and language, dietician, neuropsychiatry and endless amounts of consultant appointments. It’s taken my all to get to where I am with my rehab. I massively struggle to open up, so to meet new people is a big deal for me; a big deal because where in the early stages of my recovery are not the best memories, having people mimic how I talk (even though it still happens to this day) makes me not want to speak to anyone, whether that is a therapist, another survivor or simply a new friend. It took me months and I mean months to finally be able to feel comfortable in the day unit I attend. This isn’t anyone’s fault but when certain staff do their rotations to different wards it gave me that feeling of going back to square one. It had a massive effect on me, I don’t handle change very well and to start over again is really hard. It is a constant battle of living in the reality of what is happening and having no control over what the next stage is, how you will be and where is the end of this long tunnel? I will never forget my first review meeting with the hospital, around seven months after I was discharged. This meeting was where we spoke about how we moved forward, how the hospital was going to help with my rehabilitation. Seven months sounds like a long time in the “outside” world and for me it was, but there are other survivors that are lost in the system far longer than I was so I have to be thankful they came at a time I needed them the most. Sitting in a board room with my mum alongside me and having six therapists/doctors talking me through what had happened, what I was going through and how long the journey could potentially be; this moment will forever be imprinted into my mind. Hearing the words, seeing the reality of what had happened brought tears to my eyes. The tears that fell were because I was once made to believe that what I was feeling was in my head. Yet I had professionals sat in front of me telling me in black and white what the next steps were. Leaving that room I told my mum, this next process im going through will take me past Christmas 2016, it was June 2016 so my dream of returning to work like the consultant promised wasn’t going to happen that year. Here I am now in September 2017 still on the same rehab programme. It’s heart breaking because im learning that I have to rebuild a new Zal it’s like I have to reinvent her. When I wrote my first blog I believed I would be further forward than I am now. I cannot blame myself, or the consultant; there is no one to blame because there are no rulebooks for an individual’s recovery journey. The only thing that can help is time; it’s the same feeling as someone saying how long is a piece of string. I have to give myself credit for how far and where I have come from, I think the hardest part in the whole situation is I am coming to terms with actually how hard it still is dealing with the ‘everyday’ and the impact it has on my wellbeing. I’ve spoken very openly about the effects or defects I’ve faced within my recovery. I’ve managed to learn to live around a life that is still a massive jumble. I try and tell myself that looking back doesn’t take me forward which is completely honest, but the burning question is and maybe one that I think a lot of survivors suffer with is, “is there an end?” or do you just adjust to learning that certain things will never return or be the same. My confidence has a massive dent in it, I know with time I will push and rebuild it, that is achievable, and that is a goal of mine and one that I will be able to turn around and say I’m more confident as who I am. I’ve accepted that I will never be able to taste, smell or even have the desire to want to eat. I’ve accepted that the side of my brain that had my motivation, creativeness or my enthusiasm in baking and cooking, is still numb and almost doesn’t exist however much I try to pretend that one day it will come back. The chronic headache I’ve had from day one is what I was told in the hospital is “a side effect I will be stuck with.” The fatigue I suffer with has a drastic effect on my moods and my body. My filter is none existent, I say things without meaning to and often comment without thinking of the affects my opinion has on others. My mum tells me im too open; im too honest and I wear my heart on my sleeve, which leaves me vulnerable. Vulnerable in a way that I don’t understand what emotions are and I over think every possible situation. I’ve learnt that in the last two years I really have to put myself first. All I ever wanted was my health to get better and I was worried choosing my health to be my number one priority would make me a bad person, the problem I have is that my health has to be my priority. I’ve learnt that people can’t understand or appreciate what im going through and that’s ok, but I can’t allow it to make me question that because my health and my life revolves around the “baggage” I have that I’ll never be good enough. I know deep down that I have a lot to give and I will always put others before myself. I’ve turned my negative situation into a positive and thrown my all into helping others. I think deep down I will always be that girl that just wants the perfect ending even if my baggage makes it tainted. Granted you learn a way to accept what’s happen, I’m not 100% sure how I managed it I think I learnt a way because I’ve detached myself from it. IT, wow that makes it sound almost unreal as though whatever it is, is no longer present yet I carry it around with me every second of every day. That part of me will forever be present and that is the scariest feeling of all, there is no escape. I’ll never be able to get anyone to understand the feeling of standing in your own body and it not feeling like your own. I’ve tried my hardest over the last two years to be able to fill that gap, to able to feel something that once felt like me. I suffer hugely with OCD due to my TBI, my obsession became that I needed to feel like who I once was. Whether that was buying endless amount of Mac makeup, having my hair done, buying a new outfit or the simple things like going out and seeing my friends. All this on the outside makes you think im just a normal girl living a normal life. Yes that’s exactly what I want, however that person you see who makes an effort to try and feel normal is constantly battling with people believing that it’s all an act that im not and I quote “disabled as she makes out” the only form of acting I can tell you I do is that I try and pretend I live a normal life. Should I care as much as I do with the comments from others? Probably not, but it’s massive when I feel like I can’t leave my house without the feeling of being watched. The person they see on a photo on social media or if I were to date someone apparently the mould, the shell they see doesn’t add up to who I am/look like. I don’t think I’ll ever get past the fact that I look no different and people expect something unchanged. That’s not a bad thing and I shouldn’t be ungrateful because im so grateful, but to be judge by how I look is definitely up there with one of the most hurtful feelings I have. I know im vulnerable and more so now than I’ve ever been. Vulnerable because where I allow myself to try and move forward im often left with the feeling that maybe im not a full package, full package is that my head and my health is baggage, if that doesn’t scream to me that my confidence is knocked I don’t know what does? I over think everything to a point I question if it’s even real? My anxiety is beyond control I can’t even tell you why I have anxiety, I can’t make a decision even down to answering my mum when she asks me if I want coffee or tea. The pressure of needing an answer there and then I cannot handle, the same with food, I’ve learnt that the people I can be around most of time have learnt to understand me better than I know myself, they simply don’t ask or they tell me even if my answer is no that I have to eat. It’s hard because my hearing is so sensitive, I can’t filter out the different conversations going on around me. To try and talk in amongst people I don’t know, or to even contribute to a conversation, getting my words out takes forever and a day. Worrying if my legs will be able to just get me through a night without pain or if my constant headache will ever give me a break. I’m a girl so of course I want to make myself look nice and wear nice clothes or do my makeup but why should it come at a cost? It’s a no win situation, it’s a situation that has definitely knocked me to a point that I shut down. What has time taught me? That no matter how hard you try when it’s out of your control try not to expect a different result. For me, the last two years have been up and down and in my eyes its always two steps forward and five back but what I need to remind myself is that I am not where I was two years ago. I’ve learnt how to talk, whether that’s with a stammer or not it’s pretty remarkable how I’ve overcome that. Learning to walk however much pain I may be in, I got given that chance to be able to put one step in front of the other. My writing; I didn’t know how to spell my name or where I lived, yet this last year I’ve been able to openly talk about the ups and the downs and write this blog. I’d like to say I’ve managed to put a face to brain injuries and raise awareness in a small way, and I will continue to do so. Helping others has made my life so much more fulfilling than I could have ever wished for. I get to speak to people all over the world and help them understand their journey or that of a loved one. Granted I still struggle but knowing that you are alongside someone that understands your journey is a feeling like no other. I still get feedback from other TBI or ABI survivors and if it wasn’t for them helping me understand I wouldn’t be able to learn from my experience and pass that forward. I don’t recognize my changes and my improvements as much as other around me say they do. The first three months there was a huge difference, leaving hospital was the hardest transition that even I didn’t understand. The baby steps I take now, however slow they may be its still pointing in the right direction. A year ago I could never have imagined I would be able to have the effect I have on others in helping them, and helping them has helped me massively. Could I have imagined myself organising a charity casino night for 120 people all to raise funds for a Headway Cardiff, definitely not. Through all the bad that the last two years has brought, it’s given me the courage and the strength so that those who have a TBI or an ABI have the best possible start they deserve along with their families. I may have lost a lot in the process of having that awful accident two years ago today but it has given me so much more. I wouldn’t have met the friends that I have within Headway or even other friends that have suffered with a TBI or ABI. They’ve given me a lot of support and strength when I was struggling to keep my head above water. I have an amazing support network with my family and extended family even more so than I’ve ever had. My relationships with my brothers have always been special but I think when you are faced with a life changing event you really realise just how important family is. This month I got to become an Auntie to my first nephew who has stolen my heart, I can look forward to this month coming as I get to watch him grow instead of thinking of what happened to me. They always say you know who your friends are when you need them the most. I can whole heartily put my hand on my heart and know who are there for me. Writing this I’ve been on the brink of tears, but within one phone call I know I have someone at the end of the phone helping me process, understand and take in what im going through. I know im hard work, I stress a lot and I have awful mood swings but I think im pretty lucky to be able to have friends that understand me more than I know myself. Leaving hospital I got given some news that I never knew would change my life as much as it has. I’ve always called this one person the sister I never had, her family became my adopted family and has always treated like their own. I was handed a photo the day I left hospital that had the words “The best friends get promoted to Auntie.” I had already been lucky enough to experience best friends having babies and becoming an auntie, but secretly I think this one little man walked into my life and ran away with my heart. He’s the closest feeling I’ve had since the accident that fills me with warmth and unconditional love. May 14th 2017, after his first birthday I became his godmother and he became my best friend/godson. I cannot thank his two amazing parents for giving me the chance being a part of his life and bringing such joy into mine, he has definitely made the last 16months more meaningful than I could have imagined. I set myself a goal last year to start this blog and help other survivors in a world that doesn’t feel like their own. The experiences I faced and still do on a daily basis needed to have a voice to show that not all disabilities are visible. I had hit a low point through my journey and battling to push forward I discovered writing “one day, one step at a time” could really help me. I decided that I was going to make my Two-year anniversary into something more than tears and instead an opportunity to celebrate how far I’ve come. I took it upon myself to create and organise an event called “High rolling for Headway” a charity casino night, a reason for people to dress up, enjoy an evening out and have a cheeky bet with fake money, and all donations made throughout the night to go back to Headway. Anyone is welcome to the evening, the event is taking place on Saturday 30th September 2017, 7pm-1am at the Glamorganshire Golf Club, Lavernock Road. Tickets are only £25 and this includes a welcome drink, a bet in the casino and a light bite. All proceeds will go to Headway and there will the opportunity to win some incredible prizes at the raffle on the night. Please come down and enjoy a fun filled evening all for a great cause. For your chance to be a part of this incredible night that I’ve put my all into tickets are available Here. Living with a brain injury..
I’d be lying if I told you life was easy, that I’m fine or even my usual saying “I’m getting there” because half the time I don’t know where ‘there’ is or even how I feel on a daily basis. I think as time has passed it feels as if I am drifting through the days, weeks, and months without any purpose or real change. I am aware that part of my recovery is “to get better” and compared to where I was its huge, but it doesn’t mean that it’s over or it’s coming to an end. My condition is just a constant and I think that’s what scares me the most and that nothing is certain anymore. When I get asked how long I have left of being ‘ill’ (i say ill, i am not ill i have a permanent injury but it’s what people assume i am), how long will I continue to have treatment for, when will my speech return to ‘normal’ or even what is my final outcome, I just wish I could turn around and say “I only have two weeks left and it will all be over”, but I have learnt very quickly that there are no exceptions or time frame. It is what it is and you have to just go with it, as awful as that sounds. The difference with my injury or any form of trauma to the brain is there are no time limits and unfortunately no rulebook for how a survivor’s individual recovery can look. I’m currently adjusting to a life that is not what I know as normal, and certainly not where I thought I would be at 29 years old. It’s hard not to mourn for the girl I once was, my old life and the things you & I would take for granted like driving, going to work, eating my favourite food and being independent. It’s hard to not feel ‘robbed’ of my old life however, I have to be more positive than that and I guess it is more like being cheated, of course I wish could turn back time! I do feel though I have been put on this path to help others, to share my experiences and use my strength to support survivors in the same position as me. In some ways I have accepted I will never be her again in other ways I know I am still searching with hope that there is a glimmer of the old me around the corner… even if at times it means I pretend. I am completely numb. I have lost the ability to feel any kind of emotion. I have turned to creating my own pain through tattoos and piercing etc to try and create something that will make me “feel”. I am constantly hovering over my self-destruct button and flirting with the idea of man-made pain. It’s hard for you to comprehend my exact feelings when I say I feel empty, but that is no exaggeration of how I feel. There is nothing. I feel like I am looking from the outside in at a shell of Zal. I look the same, my hair, face, make up has not really changed but I am hollow like a wooden Russian Doll. I know those words sound dramatic, and I really wish they were made up, but my emotions and the feeling I have towards them are just numb, I can’t understand what’s real and what isn’t. I spoke about how I felt to other survivors while I was in hospital last week and I know Im not on my own in how the signals to the brain react. Speaking with other survivors has two sides to it, one is knowing you’re not on your own and others feel the same, it comforts you! The other is that constant nagging feeling, will this ever get better or easier, who knows? I suppose it’s the same as will I ever get my taste and smell back? Or the urge to ever actually want to eat? I shouldn’t be so hard on myself, but it’s not just me asking these questions, it’s the ones I face every day from people that ask about the after effects that get me down. People that surround me only see the fringes of how I feel I’ve adjusted my life, I’ve learnt to put a mask on and hide the pain that I feel, I believe I’ve allowed that to happen with my false advertising of the words “I’m fine” or “I’m getting there.” I’ve learnt that it’s easier to fight alone than with an army, and I think that’s because the only person im fighting against is my former self. I’ve learnt that if I allow myself to laugh a little more it hides the tears that once would fall. 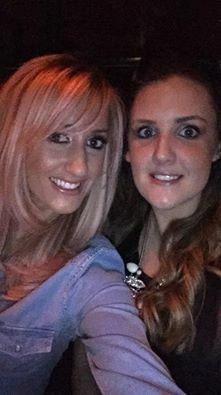 When I spend time with friends it allows me to be, in some kind of way a normal 29 year old, it hides the fact that right now my life is in limbo, and by trying to socialise or do anything but my rehab, I feel like I can pretend to be someone that is ‘normal’. I think that I should be allowed to try and be normal, yet I get questioned a lot for this! I pretend every day that I am still that girl, I try so hard to keep busy because it distracts me from what is actually happening, I have come to the realisation that I am two very different people, the girl that had the accident and the girl that is trying to deal with it and all its repercussions. I’ve come to realise I am able to separate the two different sides of me, on one hand I am able to talk openly about the accident in a matter of fact way, it’s only when my brain makes the connection that I feel I’ve been hit sides ways and realise it’s me I am talking about. That’s when I first was able to cry for the first time about what has happened. It’s only very recently that the missing link from one side of my brain to the ‘processing’ side (my frontal lobe) made that connection and I understood that this isn’t a story, its real life and it’s my life im talking about. I know that it’s not easy to understand, how is it possible that I can’t process what’s happening. The only way to simplify it is to imagine when you have a dream, you’re floating above the dream – this world doesn’t feel real. That’s me. I don’t remember the accident at all, I just woke up unable to read, write, talk, and walk. I’m learning all of these basic human attributes all over again. I still struggle to walk, talk properly without a stammer and rest when my brain fog (fatigue) sets in, some day’s I feel amazing, don’t get me wrong my amazing is at best I would say around 60/65% if im really lucky I can be 70% and other days im barely making it to 10%. I am without a doubt having to start again and rebuild or re boot my emotion and this is up there with one of my biggest challenges I’ve faced with my recovery. I do feel like that I am as far away as I can be from what I once knew, but I know this has to happen for my wellbeing and health to improve. How do I know what is normal and what isn’t normal? I’m not sure I’ll ever truly be able to answer that question. I suffer hugely with anxiety to the point it makes me physically ill. A close friend asked if when my anxiety is at its worst is it my brain trying to teach me certain emotions, who knows, but if it is true learning how to manage and relearn those emotions comes at a cost. In time im hoping that I will learn to understand, right now I know the bubble that im living in has helped me to handle the new everyday life I face. I’ve built up a barrier, which allows me to tackle the struggles I face every day. However when I am faced with something from the outside or a new situation I physically and mentally shut down. Being frustrated is tough for anyone but when you have a brain injury there is no reasoning, you can try to explain the challenge to me to try and help me process it or even try to help me with why im frustrated but it is unlikely to help and half the time I don’t know why I am so irritated so it doesn’t get easier. I can’t just ‘snap out’ of a mood, I can’t change how Im thinking as half the time I don’t know what or why I am feeling like that, never mind what I’m doing. The overload I experience only becomes apparent when I can barely function or stand and my mum has to tell me that I need to go and sleep. I know people on the outside question how I can’t understand my emotions, how I am actually doing, if I am ill and where my recovery is at because all they see are the photos of me smiling or laughing with friends. What they don’t see is the exact reason why this blog takes me so long to write, the black outs, the seizures, the not wanting to fall asleep at night because of the severity of my episodes and how scary facing this alone is. My health took a backwards step over the last year resulting in increased episodes, black outs and seizures. Some days my fatigue is awful, when I say the words ‘fatigue’, I can hear everyone say “I get tired too” but the difference is with mental fatigue you can’t control it. My legs turn to jelly and the pain is like no other I can explain, I can’t walk. My speech is slurred and often I can’t find the words I want to say. My brain doesn’t talk to my body so half the time I forget how to use my body parts, when I have these episodes my mood is so awful that I don’t realise how I react to people or certain surroundings and my mum says she feels she is on eggs shells because she doesn’t know how to handle me. How awful does that sound, I make my mother feel uncomfortable because I can’t control my emotions or body. It’s made me really question how this has really affected my life and others around me. On paper during the 12 months from April 2016 to April 2017 nothing on paper changed, I still continued to manage my life around my head only doing what I think is possible and not trying to push to extremes. This has taught me that this isn’t going to get any easier or change anytime soon and that is ok, I am just thankful I have the ability to keep moving forward however slowly. I’ve never felt uneasy about talking about what happened, but recently in the last two months there has been three occasions where I’ve spoken openly about the accident, how it happened and how it’s effected mine and everyone else’s lives around me. I’ve been able to cry for the first time about what has happened and I have feelings that i never thought i’d have, I feel sorry for that person and that person is me. I shouldn’t put her down or knock her progress because it’s an amazing achievement and one that I need to remind myself “look how far I’ve come” especially when I am having a bad day or episode. There will always be that side of me that will question why is it so hard and why me? After you start to come to terms with your brain injury, firstly you are so thankful and grateful for what you’ve been through and survived! This then is coupled with the frustration and denial as it becomes apparent that the life you have has changed forever. Whether you like it or not there isn’t an easy way out, and you have to push yourself to accept the “new you”. The sooner you accept the sooner you can rebuild your life. How do you accept a situation that you have zero control over? It will forever be something that I will always question, I am not going to forget the former me as she has taught me lessons I can use moving forward but I have to be happy and accepting of my change. Someone told me that they only know the Zal I am now not the Zal I was before and they love me for who I am not what I was. So I need to be thankful that im still lovable and I need to learn to love me which I feel will be up there with the hardest challenge im facing. March is ‘National Brain Injury awareness month’, If only it was that simple to raise awareness by just saying those exact words. Every day on average 956 people in the UK suffer from an ABI, 445 people suffer from a head injury and 358 suffer from a stroke, that’s 1,759 people daily suffering a life changing injury. These statics are based on UK admissions from 2013-2014 and are higher this year than it was 3-4 years ago. I am just one person suffering from a traumatic brain injury that happened 18months ago, yet people are unaware of how debilitating a brain injury can be? WHY? Is it because its part of your body that no one can see so therefore it doesn’t exists? Or is that people don’t want to try and understand just how hard it can be? I would love to say people are more sympathetic when your disabilities are more noticeable but I don’t believe that to be true. In my case you cannot see the brain damage that’s been caused by my accident but you can definitely hear it when I talk, or see it when I’m using my stick but yet again people still believe that I put that on. I’m sorry I mention my speech a lot in my posts, but it’s such a huge part of who I am now, in the video below this is how I woke up in HDU, not able to form a single word, so for me being able to actually speak is an unbelievable achievement. I’ll never forget my first word and my first step after the accident, just like I’ll never forget the people that inspired me to help me try to understand what had happened, or even try to get better. I think that’s important in trying to reach my main goal in realising where I was to where I am now. The hardest part in it all is accepting that as much as you want to be who you were, you can’t get back to that person/or that place. Every day is a massive achievement for me, waking up knowing I haven’t had a seizure is a huge relief as I live on my own. I worry none stop about my head, waking up after blackouts on the floor or nearly falling down my stairs. So for me knowing that I’ve made each day is amazing. It’s just heart breaking that I have to justify why I want to try and live a normal life as much as I possibly can. My speech has been my down fall, as you will see later on, I have come a long way, but there are good and bad days, where sometimes it’s worse than others but that’s understandable, or it should be understandable when fatigue plays such a large part in my injury defects. The only time it has ever been acceptable for someone to comment on how I talk is when a child has asked why I talk the way I do, one asked if it was my accent and that I reminded them of a sheep which I have to say, I laughed at; she was so innocent at 5/6 years old im ok with that. It’s when it happens by adults face to face and they laugh at me, that’s when my confidence goes and I honestly don’t know what more I can do to change how people react? I was recently asked to do a talk at a ‘Headway supporter’s event’. The event was held to show how effective the charity has been for survivors and how important it is for the ongoing support and donations that Headway, so badly need to help rebuild survivors and family member’s lives. When I was asked if I would be able to talk about my journey my immediate reaction was wow they’ve asked me, I would be honoured to be able to give something back to a charity that honestly has my whole heart. It didn’t actually cross my mind that I actually had to talk in front of 40 plus people. I don’t process information very well since the accident, it only crossed my mind what I was doing about 10 minutes before the actual speech. Let me take you back to where Headway became my rock. I first heard of headway while I was at Rookwood hospital, and in all honesty back then I had only just learnt I had a brain injury. I could barely move my legs and my speech was poor, I don’t know exactly what stage I was at in my recovery, I just vaguely remember having one of the Headway staff handing me a card and telling me when I was ready I could contact them. I’ll never forget that day I went to their office, where someone told me what I was feeling was normal, I wasn’t on my own and that there is help for me. The only time I’ve really cried about my accident is when I learnt I couldn’t talk and when I knew I wasn’t me anymore. My mum is probably the only person I’ve really let go my frustrations about my accident too, she was the only one that accepted that I was different from day one. My first meeting with the social group for Headway was at Chapter, I couldn’t say one word let alone look up, the tears fell down my cheeks because before that meeting, I was made to feel like I had made my injury up, I was suffering alone and that all I needed to do was pull myself together. If only it was that simple. Yet now I was sat in a room full of other TBI or ABI survivors and it was the realisation that no this is actually who I am now. Headway has given me something no one can ever take away from me, they understood my injury and helped me rebuild my life around this “new me”. The support they give families and survivors is just unbelievable, I will forever be grateful to them. That’s why my goal this year along with my blog was to help give back to headway and set up my fundraising page. Here is the speech I made at The Headway supporters group on Saturday 11th March, I can’t express enough how hard it is for me to have been able to do this speech, let alone talk in front of people. I struggle massively talking to new individuals, I think that’s due to my confidence and also where I’ve caused damage to my frontal lobe, I don’t have the spontaneity in interacting with new groups I become withdrawn and it’s so difficult for me to overcome. So the courage to have done this and post it, to share so people understand from my point of view is huge for me. “It takes me a lot of courage to be able to talk, it takes my all to voice my opinion but if it wasn’t for headway I wouldn’t be here today to be able to talk to you about my experience. September 19th 2015 my life changed in a blink of an eye, I fell down 8 steps, I sustained a fractured skull and a number of bleeds on my brain. I woke up unaware of what happened, unaware I couldn’t talk, walk, read or write. My life as I knew it, changed forever. I look no different to who I was before The Accident, the person I was, isn’t the person I am today. I’ve had to relearn who I am, accept who I’ve become & headway gave me that life line when I felt I had nothing left. They gave me a family, a family of friends that understand how every day is a struggle. I get judged by how I look & mimicked daily by how I talk, I want to say by now I’m used to it, but every time it happens it destroys me a little bit more. My Brain injury doesn’t just affect me, it affects my whole family and the support I’ve been given by headway has made me accept and adjust to my new normal. If it wasn’t for the support from them I wouldn’t be here today. People assume that because I’m trying to live a ‘normal’ life, that I’m better or that i no longer suffer, I wish that was true. I’ve had to stay strong and accept that this is how it’s going to be. I’m able to come to terms with this & deal with the situation due to the friends I’ve made at Headway and the strength they’ve given me. I left hospital with very little help and had to try and adjust to a life that I didn’t recognize. Not being able to understand who you are in your own body, well there are no words for that. I would look in the mirror and the person staring back wasn’t someone I knew anything about. My marriage ended and I lost my Bampy after he had a stroke, my world literally fell apart. This is where after feeling scared, lost and that I couldn’t go on, I made that call to Headway. I’ve uploaded the video as well, it was a massive achievement to be able to stand up in front of an audience to speak about my journey, I always get emotional with my Bampy so im sorry about the tears. As you can see from my first video to now, my speech has massively improved and im proud of that. I still struggle massively with word finding and delayed reactions in my speech but that’s understandable considering the bleed was over my Temporal lobe. I started this blog to help others, I want to say I started accepting whom I was because I met others in the same situation but I actually don’t believe that. I accepted the accident because the more I was fighting against it and telling myself I was returning to a life that no longer exists, this made my recovery impossible. I accepted it when I heard other TBI survivors and the hospital tell me that when you learn to grieve the old you, you start to accept the new you. How do you learn to grieve when it’s what you want so badly and something you know so well? Have you heard of that saying listen to your body? Well my body shuts down. I sometimes shock myself. I recently had my first holiday since my accident with my mum, my two younger brothers and I flew to Australia to visit my family. I sound like im ungrateful saying this but my emotions are stunted and I don’t feel anything. People would ask how I felt about going over and I obviously couldn’t wait to see my family, but I was so worried about my head, my legs, and my moods. I didn’t know how my family would cope with me. I was scared they wouldn’t like who I am now, how my fatigue gets me, how I can’t eat, how I seem like I don’t care but it’s because I physically can’t make a decision and process things. I would have been happy staying home, sticking to my hospital visits, my rehab and knowing my routine, but in all honesty it was the best therapy I could have ever had. I can’t describe to you the pain I was in with my legs and my head, but spending time with my family after everything we’ve all been through was worth the every bit of pain I had. I didn’t realise how my recovery and the other stresses in life have been taking a massive toll on my body, to be able to relax and be looked after with my family and not worry how or what people thought of me was amazing. Its time like these that really makes you realise who and what actually matters to you, the support my family give me honestly is unbelievable. I can’t describe to you what it’s like when my legs don’t want to work, my brain literally stops talking to my body and the pain and fatigue my legs and body goes through is out of this world. It’s hard for anyone to understand, I get that, I get that people see a photo of me smiling or sat at a table with friends or going to the shop, you know what normal people do, but when it comes to me I’m a 28year old trying my hardest to just be a 28year old. On holiday my 16year old brother literally had to hold me up to walk me to the car and put me to bed, my body stopped working and just shut down. The unconditional love I have from my family to support me there are no words, same with my friends. My brain fatigue is always going to be an issue due to the scaring it’s just how I adjust to it. I’ve come such a long way and im proud of that. I didn’t overdo it on holiday, I had my stick with me everywhere I went and a wheel chair when needed. But for once it was so nice not to have to think about my rehab and I realised I so badly needed that time for my family and me to be together. A year ago, everything was different and I now look back, I realise how strong I have been, how I was able to get through some difficult times, how I always kept putting one foot in front of another even though I felt broken at times. I realised that a year can do a lot to a person, but im here, im stronger than I was before and im still going to keep putting that one step in front of the other. The reason I choose to stand up and speak openly about it, Is because whether it’s my injury or mental health, it’s an invisible injury and that some days are better than others. If I were to show you me on my bad days you would see how much I struggle but I choose to show a positive route and that whether times are hard, I will still keep fighting. Last week I had felt I had hit a dead end. I was sat in hospital with one of my therapist and the realisation that this could be the best I can be. Broke my heart. I’ll never be 100% better there’s no such thing, but every time I hear that statement it still hurts. I think it’s always going to hurt, so to come face to face with a realty that this might be me now forever scared me. It was only when my friend told me that look how far I’ve come and my mum reassuring me that I will be ok.
It’s always going to be hard, it’s going to be long journey but I have accepted that or I try and tell myself that I’ve accepted that. I know I’ve accepted the situation that I am in and that’s just like anything you do in life, your new routine becomes your ordinary routine. So for me, the headaches, the appointments, the rehab everything is my new routine so it’s my normal. I will forever miss who I was and I know people will never truly understand how I feel, but im trying my hardest to become a better person. A new version of me and for that reason im literally standing up for myself and showing others that its ok to still try and enjoy life whatever that may be, but surround yourself with positive people and you will always become a better person for that!! My stammer and i will love you and leave you until next time…. Strength, what would you describe strength as? To me it varies, I would never class myself as a strong person, I’ve been told that the strength I have to keep going, to handle what I have been through and still be standing, where others wouldn’t leave the house or would crumble: – is inspiring! “Inspiring” is a big word, for me strength within a person is about their character. I would never intentionally call myself a strong person, it’s not a case of saying that my character is strong; it’s all about how you handle yourself. There are times where the fight is so hard I honestly want to curl up in a ball and never move again. There are times where I’ve had to question who I am because I couldn’t understand why I was being tested over and over again. I’ve questioned myself because, I thought that maybe I was a bad person and that really I deserved to have what’s happened to me because of what I have done or who I am or was, but if I were to say that; this has happened to me because I’m a bad person or that I’ve brought it on myself then what kind of a person am I? I can’t answer that question if I’m a bad person or not, because I’m still learning who I am. I shouldn’t have to justify myself in trying to learn a new normal for me. I also shouldn’t have to battle the judgements I face every day, but at some point I have to learn that if I allow myself to feel the pain of what others say then it’s their characters they should be questioning not mine. I want to say by now I’m used to it, but I would be lying. I do on occasions rely on the help of others who are with me to talk for me, that’s completely understandable but now I feel that I’m losing confidence in myself because of how others act. The words “keep going anyway” is exactly how you read them. Maybe that’s the strength people must talk about to me, because I can’t just allow myself to stop fighting. I feel I’m in auto pilot, I’ve become numb to it all. If I look back to last March- May 2016 time, I was so desperate to be who I used to know, wanting the life I used to have, or able to feel any kind of emotion. I know now I was spiralling out of control and looking back I know I wasn’t well. I look back to that time and I was completely on my own battling away to a point that by July time I felt I wasn’t going to make it. This is when I had to take a good look at my life and myself and accept that I’m never going back to the Zalehka I once knew,and that looking back would never take me forward. I’ve had to accept that my brain injury and I are going to have some hiccups, I’ve had to accept that I can’t say yes to everything, that there is no such thing as GETTING better, it’s all about managing and learning to deal with things differently and actually that’s ok! Maybe that’s why people believe I’m strong because whatever life has thrown at me I’m always going to keep fighting. I’ve been told that I have zero empathy, I realised that my emotions had been affected with the injury but not quite to what extent. I may seem ungrateful at times or not seem as if I am excited about a particular occasion, I’m not, it’s just I don’t know how to feel those feeling’s. It must be very frustrating for people around me to understand as they might see me laugh or smile but on the other hand if they were to ask me about going somewhere or doing something and they would have a dead pan answer back. I’ve heard it’s really common with brain injuries and it coincides with my lack of taste and smell. There is no drive or desire within me to want to eat or even quite often do anything physical. I hardly eat. Fact. I’ve spoken openly about it, I make a joke of it. People ask me if I’m hungry my answer is no, but if you want food then fine I’ll eat. In my head I know it’s wrong and I understand what I need to do, I know how to cook, I was actually a really good cook, but my brain doesn’t allow me to tell my body I’m hungry. It’s only if someone asks me “have I eaten?” will I realise it’s been a day or two that I have not had food. It’s so hard for my head to even make that decision because if you put food in front of me the battle to actually eat is awful. I can’t get myself to do it. I know I need to look after myself but I have zero empathy about it too it’s like I don’t care, I know its wrong and I should say “come on Zalehka sort it out” it’s getting to a point I’m doing more harm to myself. I’m in talks now about it, to sort it out because the effects on my body and well being are far from positive, thankfully my rehab team is now focussed on fixing and or helping me to relearning how to talk to my body. I feel I’m learning more new things about myself, apparently this new Zalehka is very competitive and have no tolerance to certain things, and I have zero patience. I knew my filter was damaged as my family would highlight certain things but apparently it’s beyond the character that I once was. It’s even become a joke to my Mums friends as they now refer to it as “I nearly had a Zalehka moment” I’m not sure whether to take offence or be ashamed of myself but quite frankly I actually don’t care. When I list these new ‘ME’s’ I feel I don’t like the sound of that person. At the same time my short term memory is so bad that if someone was to tell me I did one of the above I actually would find it hard to believe that I did that I worry mostly that this new person won’t be accepted. Being accepted brings me onto my next challenge, I’ve lost my confidence in so many ways that not only am I leaning on others to help me talk but facing the day to day battles I have been through in my recovery period has made me question whether I will ever be accepted as just me? That’s a statement I never thought I would say. It’s a subject I never really thought about or anything that I even considered.I feel I’m at a point in my life where at this age you expect to have achieved a lot, especially as a women you set your life goals and then put pen to paper, the story book that I had envisioned for my life doesn’t exist. The story just ends. The happy ending I pictured isn’t there, you have no paper left to finish the story you were so desperate to write. I’m now starting a new chapter or even a new book, however the author writing this book is unaware of how to put the pen to paper. I’ve spoken about how numb about my emotions I feel but it doesn’t take away the pain of not achieving the life goals that I once upon a time desired. The girl who is standing here is armed with a strong network of friendship groups and family members, but I’m constantly being told that I’m still young enough to start again. That statement in itself is like a knife that has been gently twisted in my side. I understand I am very lucky to have the support I do and very positive that yes, I can start again but it comes at a price. Before my accident I was told that I wasn’t ambitious enough and my work ethic wasn’t as proactive as ones should be, and that a desire to settle and have a family isn’t the only thing I should be aiming for in life. I come from a big loving family where cousins, brothers and sisters are all the same blood and brought up as one. There is a history in the second generation that a family is proving to be more of a miracle than one would wish for, and consequently to have children would be the best gift life can give and I’d like to think many women out there would agree. To have my ability as the person I was and one that someone should have loved, knocked me sideways, to question the character that made me instantly made me look at myself. So when I had the accident and was unable to talk or walk the whole time I was recovering in hospital all I kept thinking of is how can someone accept me for who I am now when I’m different to the girl I was before? The girl I was before had a lot going for her. I was young, I was very good at my job, I had a life that I could have coped with on my own but now with the accident I was different. I could hardly string a sentence together, I struggled massively with walking and instead of worrying about how I was going to get better all I focused on was how would I be loved or accepted like I am when I was broken and I wasn’t accepted as the girl I was before. Being on my own has never fazed me; I’m not that type of girl where I cannot be alone for one second and I believe in a healthy balanced life style. I honestly believe in the saying you can’t be truly happy until you’re happy with being on your own. There’s a difference in being lonely and wanting to be with someone or being truly happy with yourself and added to that happiness with someone else, but the thought of dating, well it puts me off completely. How will anyone like me for who I am now? Is that an insecurity? I don’t know. I’ve feel I have accepted who I am now, I know in the small amount of time since the accident my speech has improved but clearly not enough. The thought of even speaking on the phone and getting the question “sorry is this a bad line or is this how you talk?” makes me wonder how am I ever going to meet anyone? I dread people’s reaction to me, even talking to someone who deals with brain injures I still get the comment “but you look no different” I’ve completely lost my confidence in who I am, my speech, my fatigue, my everyday battle with my injury and I wonder how will anyone want to be a part of that, it’s a whole other level of baggage. It’s sad because I could say I’m fine about being on my own, and I mean I am FINE about being on my own, but what’s hurtful is how something has defined my life and has knocked me for who I was before. 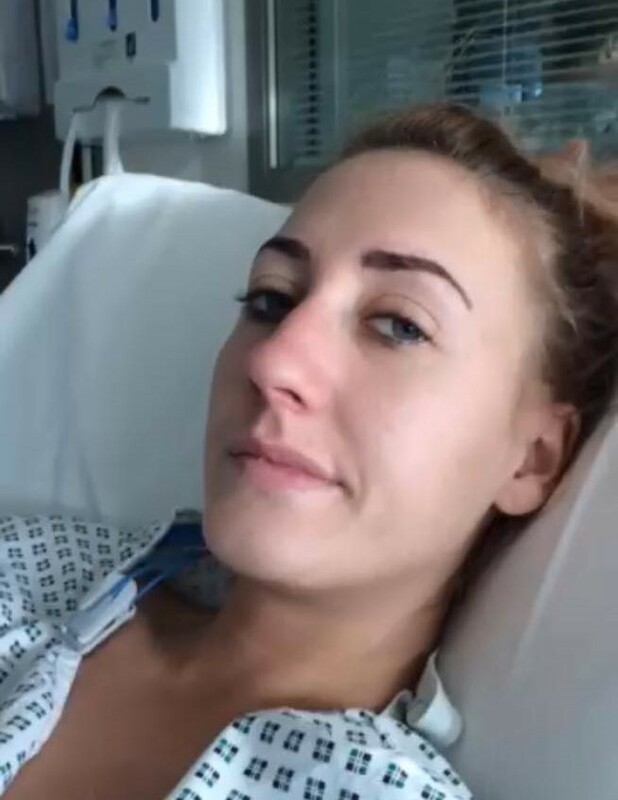 I don’t just mean the accident, I understand this journey is a long one and one that some people don’t want to be a part of, I get that but what I don’t get is now its made me feel that because I have an injury, I have hospital appointments and everything else it might be something that people won’t accept. These days our lives revolved around technology, I panicked on a Saturday night out with friends when someone stood on my phone and I genuinely felt my life drifted away!! How sad is it that we are in a world where our phone is the only form of communication with the outside world!! Dating apps these days for the so-called ‘youngsters’ are Tinder, Bumble or Happn. When a very close friend of mine decided to join, I couldn’t think of anything worse, yet later on I found myself curious as to what these apps had to offer. It’s worse than a cattle market!! I’m sorry if I offend anyone who has found amazing relationships from them but for myself how can I possibly be in this situation. I may take a great photo but how does that portray whom I really am? I’m always saying throughout my blogs that I get very upset how people judge me for my appearance and yet now I don’t want to get judged by a good looking photo I’ve uploaded? The thought of having someone say no because when they’ve met me and realised actually she talk’s funny or has medical needs I can’t handle it, its worse than the thought of my divorce. It’s rejection all over again and I didn’t fit the mould before I had the accident, I was forever trying to change to whom I was to fit in. I feel like I am contradicting myself as I want brain injuries to be acknowledged and I want more awareness from people that don’t understand how hard is it for survivors, but I also want to feel like someone can accept me for who I am now, or even if you knew me from before and you loved that person you should still love me for who I am now. I’m not saying I want a relationship with someone because I’m very aware of how bloody hard work I am and the funny part is I was hard work before so, god help who ever decides to take that challenge on! It’s just how society has become that I feel like no one can accept a girl with a stammer, a brain injury, and who used to be married, can I even expect to have a normal life? It feels so unfair. My health was always my main issue and my health is still my main issue, my question is and what I wonder is, how will who I am now effect my life in the future? I have a lot of TBI friends by whom their partners have stood by them, watch them change uncontrollably before their own eyes with zero control in helping them, it’s just unravelled before them. I can’t imagine the pain one must feel in seeing a loved one become someone else. Seeing their daily struggle and pain they are in, is not only hard on the individual but it must take control over how their loved ones feel and it changes everyone within a family unit. The ones that are with them through it all must feel almost broken in a way as well, they might not fully understand the pain you go through but it must be hard on them as well. I will never fully understand what it’s like on the other side, just like others won’t fully understand how i feel with my Brain injury unless you are battling too. I’m just hoping that one day my baggage won’t become too much to handle for someone else. I know i’ve already lost a lot in the process but i am trying my hardest to become a better person. i’ve had to learn to understand that there is no magic wand and that this is now apart of my life, i’m happy with that, i’ve accepted it and in time it should accept me. Do I believe I’m ready for the next step probably not, but I do believe there’s no harm in trying to have more friends? I know I’ve lost my confidence and my Mum says I’ve lost my sparkle but sitting with two very close friends of mine and telling them how I felt they made me see differently. I feel I can’t talk to someone new because I’m forever worrying on how they will react to my stammer, what they will say to me when they cant understand. There was a time when I couldn’t say certain words and yet now I feel I’ve re-learnt them but I’m still too scared to talk to someone new. I notice I rely on my friends and family to talk for me but I suppose at some point that has to stop as how will I ever improve my communication, in the back of my mind I’m always going to feel that I’m not quite who I use to be. I’ve been told that I’m beautiful, caring person, I can make people laugh and I have a lot going for me, yet I feel that by being effected by this injury I’ve lost my job, family and certain friends. Should this define me? No it shouldn’t, It 100% shouldn’t define me. I was always told that confidence is the most attractive part of a girl/women. I completely agree, i will work harder to rebuild who i am again and become more confident in myself. I just wish the knock backs i get and that people who might not realise that mimicking how i talk doesn’t hurt me could stop. To worry about how i am and to be too scared to talk or use my stick because i have days where i can barely walk is an added stress factor for me. i was always brought up where by poking fun at others was very wrong and yet the shell of who i am doesn’t fit the mould of someone with a walking stick or a stammer, yet it’s ok to poke fun at me because of that? I would never wish for anyone to feel how i have felt in those particular moments, in time i will find the confidence i once had and I’m hoping in time i’ll be a better person for it. The support I have off my friends is unbelievable, I’ve always known I’ve been lucky to have my friends around me, but I don’t think I truly understood how amazing they’ve been to me over the last 16 months. They literally pick me up when I’m at my lowest to a degree that I can only thank them for saving me when I need them the most. They’ve given me the strength to push my boundaries and made me see that life is worth fighting for! They tell me that I’m their inspiration and that if anyone could face the battles I’ve been through and still come out looking and fighting as positively as I do, it would only be me. I hear people tell me that I’m an inspiration but I never really thought of myself in that way. I do know that if I had to fight through what I have been through I am not sure I could to do it again. I don’t think I would have the strength to go back through the battle that I’ve been faced with, the thought of even going back a step or to the beginning point makes me crumble inside. Although I am not sure if I had known what was coming I would have thought I could cope with it, its amazing what you can do when faced with adversity! I take each day as it comes because it’s the only way I can get through anything, looking too far ahead or setting goals out of my comfort zone is setting me up for a fail. I’ve learnt that for me to be truly happy with the achievements I’ve made, I have to take baby steps in order to make them possible. When I hear my friends tell me how proud they are of me and that I don’t give myself enough credit, I honestly don’t know the person they are talking about. I don’t look at myself and feel I’ve achieved anything or that I’m doing well because I feel it’s the only way possible for me is just to keep going. I believe that if I have to go through this rough patch I’m hoping that somewhere in amongst it there will be the light at the end of the tunnel. I want to believe that this life lesson is to teach me and I can learn from it. This is a battle that I didn’t choose for myself and it’s a battle that I would never wish upon anyone because it’s one of the hardest, most painful and life-changing experiences anyone will face. Not many people will face a life lesson like I have in the short amount of time I’ve had but hopefully this lesson can help me teach others how to do the same. I know I’m a loving, loyal and caring person and I give 110% if not more! I love my family and friends and I know that the people in my life that choose to stand by me, are the ones that will be with me in the journey to the end. I can only thank them for standing by me and helping me become a better person, and in time I will do all I can to give that back. Please HELP me raise money for a charity that gave me some hope again ..